Greek goddess Toon Aphrodite, goddess of love, isn't old and bald like some of the gods, but she's up to no good. Her clothing is separated into distinct parts allowing them to be easily modified. 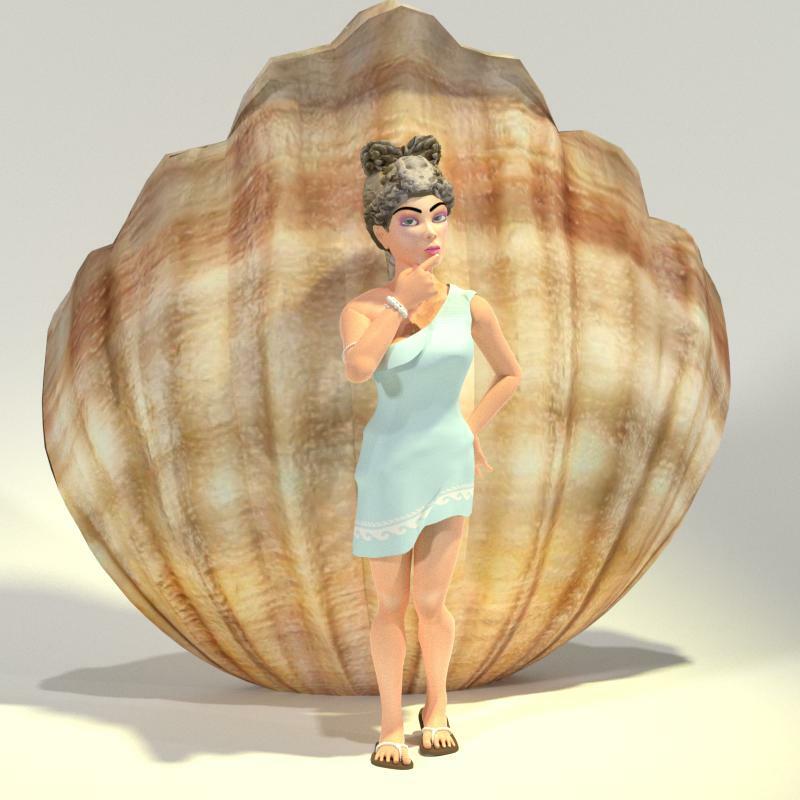 She also includes a large shell that can open and close and a wave prop for creating simple sea themed images. Toon Aphrodite for Norm works with Poser 9+ and DAZ Studio 4 or higher and requires Norm 3D, a free 3d character. Now available on the Mirye Software Content Store.